A while back we reviewed the e-book 'Don't Eat Your Own Slime' which was very cool, and since then I have become a presenter for Sublime Science, which is a dream job as it means getting my geek on and spreading the word that science is exciting while making things go bang, plus it's weekends so it doesn't take me away from my own little scientists for too long. Today we trialled a great new addition to the Sublime Science repertoire - the shiny new Sublime Science Club. For the price of a coffee a week you get access to e-versions of the 'Don't eat your own slime' book and 'The most incredible science experiment DVD ever', plus printable manuals, home decoration pack and certificates to help you get the most out of great new experiments uploaded monthly to the club page. The experiments have a different theme each month, this month it was 'radical rockets', which came with clear instructions videos and required only normal household items and junk from the recycling box. 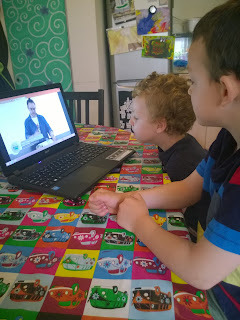 Videos of experiments are available from sources such as YouTube, but what I really liked about these ones was the clear explanations of the science behind each experiment, plus suggestions of how to adapt the basic experiment to explore it further. Being able to look at what we would need before I showed the videos to the boys was helpful - for example we don't normally have disposable plastic water bottles so we saved some from a day out on Saturday. The boys were very excited when they recognised that Mad Marc's T-shirt was the same as the one I wear under my lab coat 'look, that man is mummy scientist too' was Toby's comment. 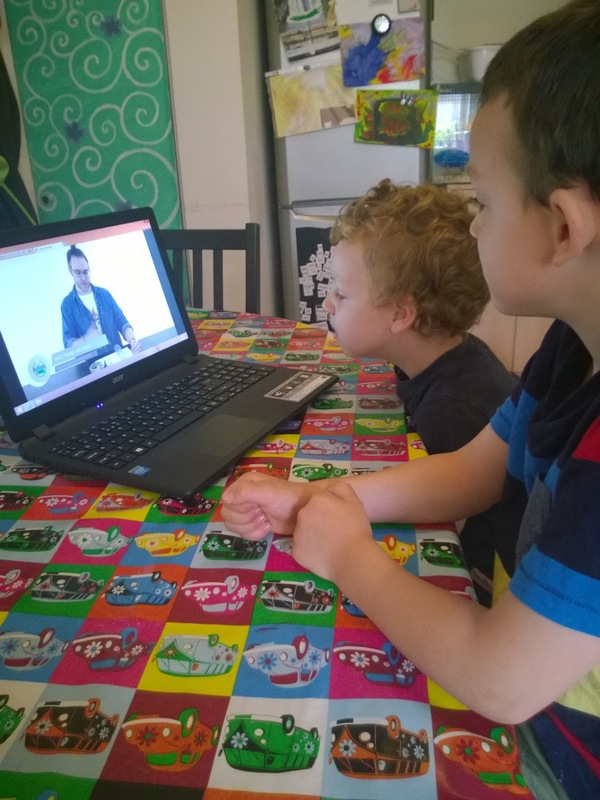 We do lots of experiments at home, but seeing them demonstrated on the screen somehow made it all seem more like a proper science project to them, not just mucking around with mummy. 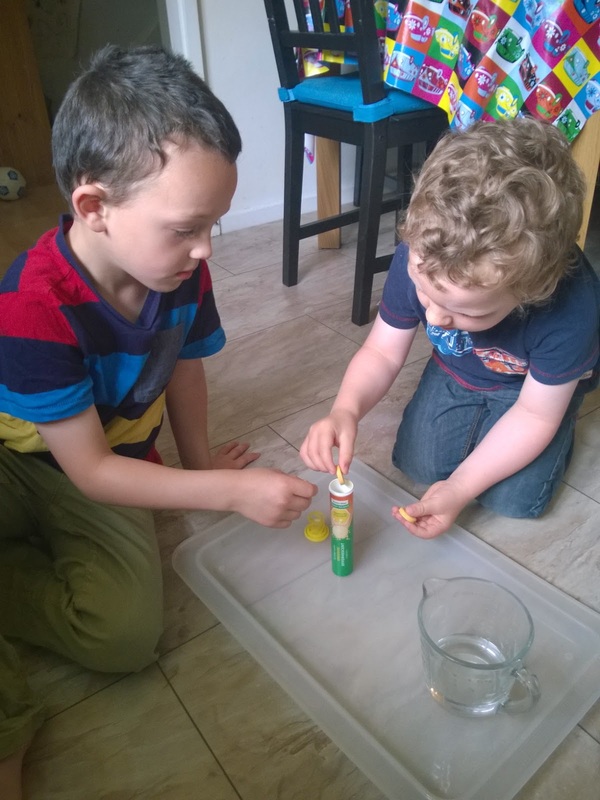 We also got to try out new ideas that we hadn't seen before, and the boys had great fun coming up with their own versions. The mess was pretty limited, but being able to show a short video demonstration between experiments gave me a couple of minutes to clear away one thing and set up for the next, which gave a really nice pace to the morning. The set ups were almost all things that the boys could manage for themselves with very little help, even at ages 3 and 5, which adds to the hands on fun. 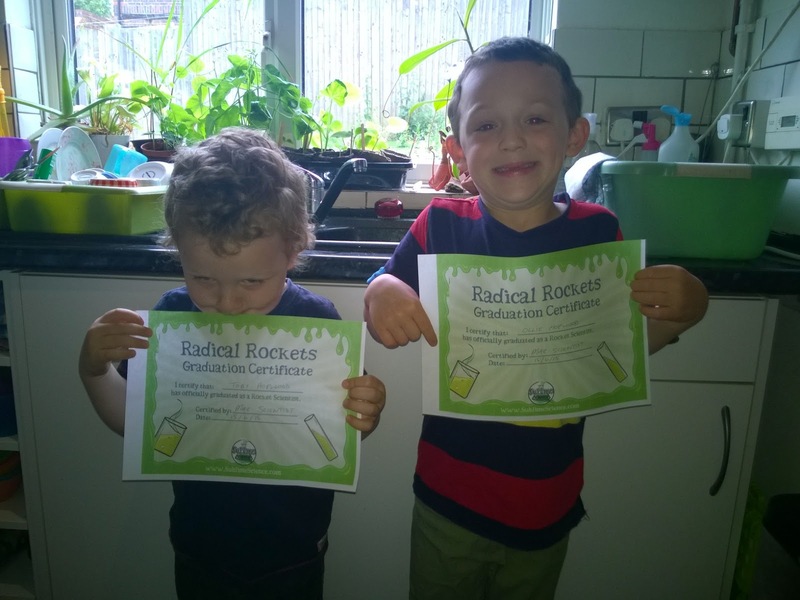 When we finished I presented the boys with their official Radical Rockets Graduation Certificates which we can add to a project book that we will start for their science club experiments. I think as a way of giving non-scientist parents and carers a toolbox for making science a regular, fun and creative part of the monthly line up of activities this club is a brilliant idea, and for the regular science explorers out there it's a way of expanding on tried and tested favourites and making an event of it. The more families that get a chance to have fun with science, technology, engineering and maths the more chance we have of keeping kids interested in STEM subjects as they grow and choose careers. We'll certainly be making rockets the Sublime Science way again. Note: I got my trial for free, but images and opinions are all my own. Sublime Science offers a no quibble guarantee that you'll like it, so if you join and then don't like it you can cancel at any time.